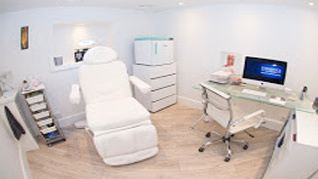 pHformula Clinics in London | Aspire & Co Ltd.
VSP Skin and Laser Clinic is a brand new, purpose-built state of the art clinic located in West Drayton, London. VSP was founded on two main principles; individualised service and technology-driven solutions. Creating tailored treatments plans is our speciality, we use pH Formula in conjunction with various machines and treatments to address our client’s skin concerns. Nestled on Kilburn Lane W10, my boutique salon has Queen’s Park on its doorstep and the stylish Kensal Rise a stone’s throw away. It’s the perfect place to be pampered – safe in the hands of a highly qualified aesthetician. 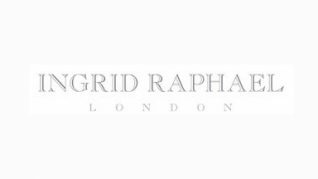 My passion is to bring the advanced techniques and products most commonly seen in Harley Street to the Glow West salon, making world-leading aesthetic treatments accessible beyond the exclusive Harley Street postcode. Opening its salon doors in early February 2015, Glow West is located close to both Queen’s Park and fashionable Kensal Rise, and is located right next door to Fierce Grace Hot Yoga. Dr Simi Medical Aesthetics is an anti-ageing and skincare clinic located in the popular Liberty Shopping Centre in Romford, Essex and offers a range of treatments including anti-wrinkle treatments and dermal fillers, LED light therapy, skin rejuvenation and skin resurfacing. 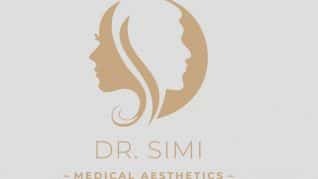 Dr Simi utilises her 19 years of medical experience and surgical training to develop and perform personalised treatments which are backed by leading scientific research and cutting edge technology. 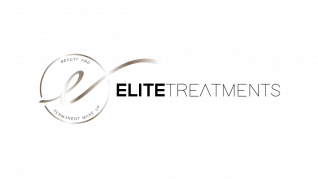 At Elite Treatments, Beauty has always been our passion and we cannot imagine doing anything else. It’s a great feeling being able to make our clients feel good about themselves, boost their self-confidence and enhance well being. W One Knightsbridge, an award-winning cosmetic, aesthetic and wellness clinic in the heart of London. I pride myself on providing clients with a unique beauty experience, designed to maximise their well-being and delivered in calm and relaxing surroundings. Overtime, I have built up a great reputation for providing bespoke treatments tailored specifically to client needs. This is reflected in my loyal following of clients, many of whom I have helped for many years and who visit the salon on a regular basis from all over London. 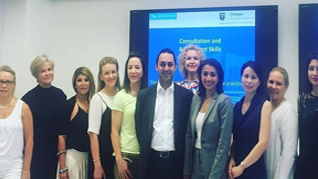 At Sai Beauty Clinic London we believe that by focusing on a Synchronised Inner and Outer Beauty Program you can achieve a Complete Transformation. Sai Beauty Clinic London specialises in providing effective programs in the Management and Reduction of Excess Facial and Body Hair. To compliment our treatments we offer a wide spectrum of Advanced Skincare programs to treat most Skin Conditions. 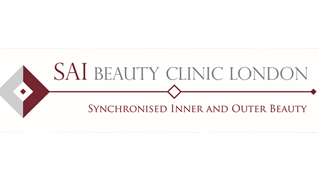 Sai Beauty Clinic London offers bespoke Transformational Holistic programs. We utilise The Science of Energy Medicine, Meditation and The Art of Breathing in our programs. Through Mastery of Beauty knowledge, leading Excess Hair Management Techniques, Scientifically Advanced Skincare Treatments and Transformational Holistic programs, Sai Beauty Clinic London is able to meet the needs of each individual by offering bespoke programs to treat Skin, Body and Mind on a journey towards Rejuvenation and Vitality. 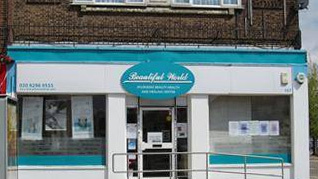 All treatments are administered to the highest Professional standard in our modern, well equipped and tranquil setting. I believe when a woman feels confident in herself, it will create a positive ripple effect with her family, her community and the world at large. The Dr Terry Clinic believes to look good is to also to feel good and provides expertise in her pHformula treatments. Elizabeth is a fully insured Nurse Practitioner with full prescribing qualifications.London Professional Aesthetics is registered by Save Face who are the regulatory body for the aesthetics industry. Cosmetica London believes real beauty is achieved by working with what is already beautiful, not adding new features. A non surgical clinic, Cosmetica has over 20 years in the beauty and medical industry and has built an outstanding reputation for aesthetic medicine. 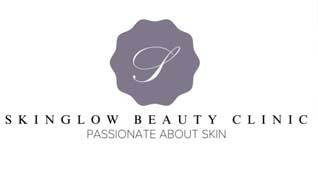 A completely private and confidential experience, Skinglow Beauty Clinic sends it’s clients on a journey of rejuvenation. Tetyana’s passion for skin has made her a notable expert in the industry and with an acute understanding of anatomy and the science of skin care she delivers excellent results for her clients. 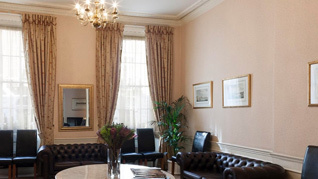 As a leading cosmetic medicine clinic based on the well known Harley Street in London, River Aesthetics is founded by medical aesthetics doctors. Dr Victoria and Dr Charlotte aim to help clients be the best version of themselves with their help of supplying expert treatments.